Hard skin is a supple and easy to use nylon which has been formulated by Asso to have 12x greater abrasion resistance than standard nylon. It has a very good breaking strain to diamiter ratio and this coupled with the excellent abrasion resistance mean that Hard Skin is a good option for fishing at range over tough terrain. 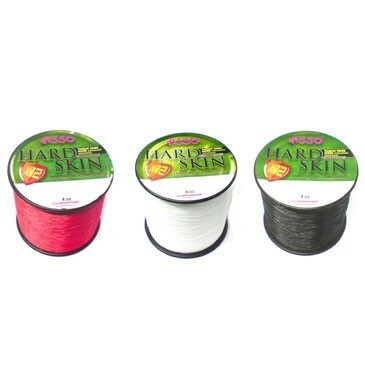 FREE Delivery on all Kiddy Monofilament Line over £100!! !